Increased yield with less nitrogen and herbicides—lowering input costs*. Increased root mass and nodules. Increased cation exchange capacity (CEC), organic matter, humus, calcium, and trace minerals in the soil*. Reduced compaction up to 25% and 18” deep*. Increased mycorrhizal colonization**—see below for the benefits of mycorrhizae. 28-43 bu./acre increase in corn***. **Tests at Mycorrhizal Applications, Inc. The end result is larger, higher-quality yields with plants that are more tolerant to stress. Nutrapathic Soil Restore with mycorrhizal stimulants should be used with Liquid Bacteria Concentrate, which prepares the soil for optimum bacteria growth. Mycorrhizae are naturally occurring beneficial fungi that attach to the plant root system, spreading filaments inside and outside of the roots, working as an extension of the root of almost every plant. Soil fumigations, fungicides, tillage, and overuse of synthetic fertilizers can destroy mycorrhizae fungi. Mycorrhizae improves soil structure, reduces fertilizer rates, and increases growth response. This fungus also protects roots from soil toxins, diseases, and insects. It seeks out nutrients from a far greater soil area than the plant can access by itself and regulates the uptake of nutrients in response to the plant needs. Plants have greater resistance to invasion of weeds and insects because plants are healthier. Fungi are a largely responsible for stabilizing calcium. Soil low in fungi will permit calcium to leach. Bacteria are able to perform a wide range of chemical changes, including breakdown of organic matter and disease suppression. They are also useful in providing nitrogen to plants. 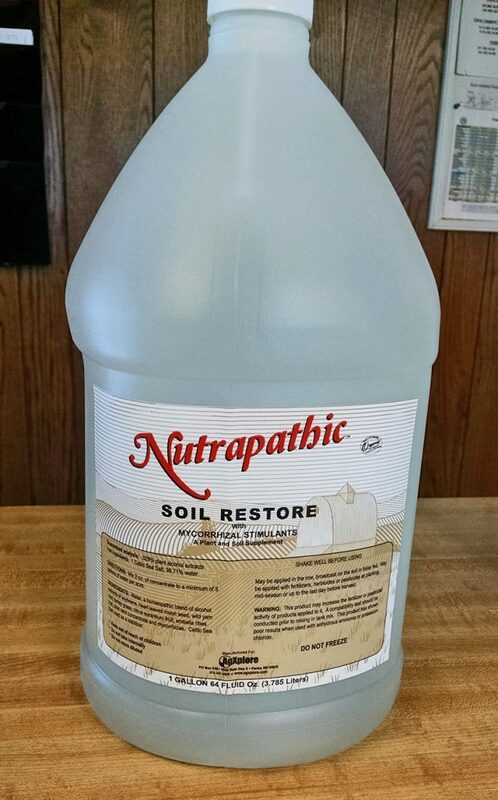 Nutrapathic Liquid Bacteria Concentrate contains bacteria that colonize the plant rhizosphere, promoting plant growth and suppressing plant pathogens. Plant growth is credited to the phytase activity that provides plants with phosphate. It also produces a variety of proteases, amylases, and gluconases. Liquid Bacteria Concentrate also contains bacteria that have the ability to tolerate extreme environmental conditions by producing a tough protective coating. The bacteria continue to live on the root system and provide protection throughout the growing season.